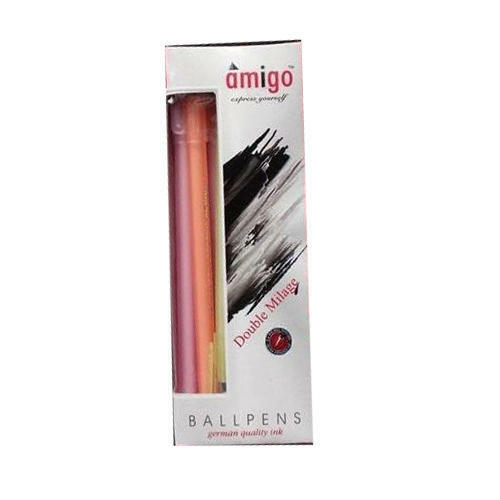 Supported ourselves with proficient amenities, we are readily instrumental in providing an inclusive variety of Amigo Double Mileage A1 Writing Pen. Founded in the year 2014, we Mitra Agro Enterprise Limited, are a well-known manufacturer of Ball Pens, Battery Operated Calculator, Gel Pen, Electronic Calculator, etc. Founded in the year 2014, we Mitra Agro Enterprise Limited, are a well-known manufacturer of Ball Pens, Multi Colour Ball Pen, Ball Pen Set and Smooth Refill Ball Pens. The offered products are extremely appreciated by valued customers for their top quality, high strength, tear proof nature and attractive patterns. Due high demand, we provide these products in different patterns at nominal costs.